To my surprise the wine was in absolutely tip-top condition and had beautiful color and no trace of any adverse flaws due to faulty storage. 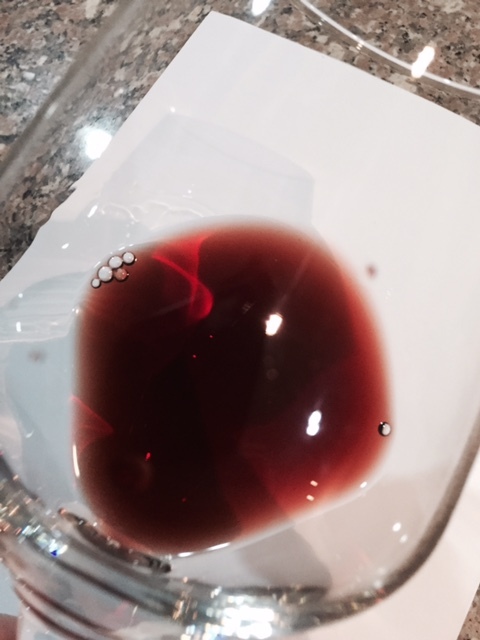 The wine as you can see in the picture has a deep ruby core with a fading to brick and light burgundy color on the meniscus. On the nose I found beautiful aromas of stewed black plum, subtle hints of spearmint, rusty bike chain, graphite, and nutmeg. On the palate flavors of sweet tobacco, teaberry gum, prunes, cranberry, and leather. Very umami and sensual. Devoid of any harshness of tannin or the pucker of new acid. Finish sails on for 2 minutes. I've always known of the toughness of wine. I think it obviously receives particular plaudits for being a product that can age gracefully when presented with the right temperature, light, and stillness. However, I think folks really don't give it credit for being incredibly robust amongst a plethora of unmitigated abuse. 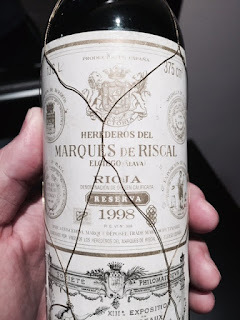 This wine is proof that a half bottle (375ml) of mid-to-low priced Rioja that is 17 years old and has spent most of it's life on a dusty liquor store shelf can be incredibly resilient. Another parallel to the human condition I suppose. We are incredibly resilient in the face of all sorts of adverse circumstance. So is wine. Wine.com 100 – the list is out of our best-selling wines of the year!